Frederick W. Dunmore was inducted into the U.S. Army in January 1943 at the age of 19 to serve in World War II. In November of 1943 he was shipped out from Oran, Africa on a British transport ship, the HMT Rhona. On the day after Thanksgiving their ship was hit by a German radio-controlled missile and sank off the coast of Algeria. It was the largest loss of U.S. troops at sea in a single incident, 1,138 men killed. This incident was kept secret because this was the first time these radio-controlled missiles were used and due to the severity of the loss, the U.S. military didn’t want the Germans to know how effective this weapon was. It wasn’t until 1967 through the Freedom of Information Act that the public finally heard of the incident. Fred’s battalion suffered 87% causalities however he was fortunate, as although he was wounded by shrapnel during the blast, he was rescued from the water by the destroyer the U.S.S. Pioneer. After spending weeks in a British hospital in Bone, Algeria he served in the China-Burma-India campaign. Fred never spoke of this disaster to his children, it wasn’t until his grandchildren questioned him about his experiences during the war that he finally spoke of the incident. During his tour in the C.B.I., working with engineers building bridges and airfields, he met many Chinese soldiers who spoke English. One of them might have been our family dentist’s father. At the time, our dentist's father was with the Chinese 8th Route army and was stationed in the same area. 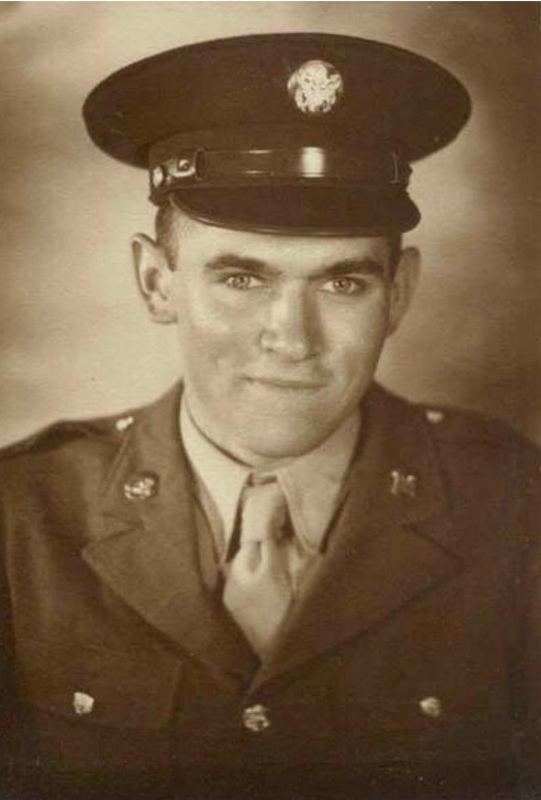 Fred was honorably discharged after the war in January 1946 after receiving the Purple Heart and numerous other medals. After coming home, he served as a Long Beach police officer for 30 years. He and his wife Gloria raised four children and were wed for over 60 years. Fred lived in Long Beach, near the border of Lakewood. His kids learned to swim at Pat McCormick Pool and played in Lakewood parks. I (his daughter) live in Lakewood and raised my kids in Lakewood. My kids were involved in sports through the city.